License Plates in Texas are Now Optional Thanks to a Mistake by the State Legislature - Texas Legislature mistakenly removes penalty for failing to display a license plate. According to TheNewspaper.com, the new law was a complete update of the motor vehicle statutes. As part of the update, the new law deleted the license plate statute, returning parts of it to Section 502.473 and 504.943. In moving around the legal language, the bill went through the entire legislative process without anybody noticing that a key line was deleted without providing a replacement: "An offense under this section is a misdemeanor punishable by a fine not to exceed $200." Without a penalty for driving without a license plate, it is not clear whether police officers or courts would have the authority to impose a punishment on drivers who chose not to display license plates or registration stickers, especially in jurisdictions that still use red light cameras. Driving with a false or altered plate remains a misdemeanor, however. Lawmakers will not have a chance to remedy their mistake until January 8, 2013 when the legislature reconvenes, unless Governor Perry calls a special session specifically to address the license plate issue. Click Here to order you Choose life License Plates! According to LifeNews.com, Motorists in Texas now have the opportunity to purchase Choose Life license plates, the sales of which will benefit efforts to help women find abortion alternatives and promote adoption. During the 82nd Regular Session, the Legislature overwhelmingly passed Senate Bill 257, authored by State Senator John Carona (R-Dallas) and sponsored by State Representative Larry Phillips (R-Sherman), to allow the Texas Department of Motor Vehicles (TXDMV) to create the plate. On May 17, Gov. 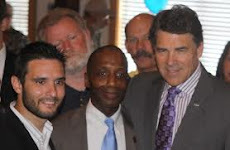 Rick Perry signed the bill into law. In 2009, the Texas Senate approved the bill but Transportation Committee Chairman Joe Pickett, an El Paso Democrat, refused to allow a committee vote on the bill.